Now through April 7th - Receive a Free Set of 12 Floral Water Tubes with your basket! Use these tubes to arrange fresh flowers or greenery to welcome your guests. 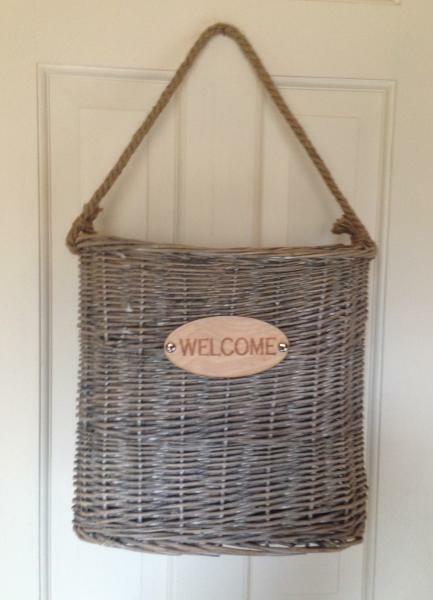 We love our new Welcome Door & Wall Basket for Spring! Perfect with flowers or greenery on your front or back door,this willow basket can also be used as a catchall in your mudroom or kitchen. 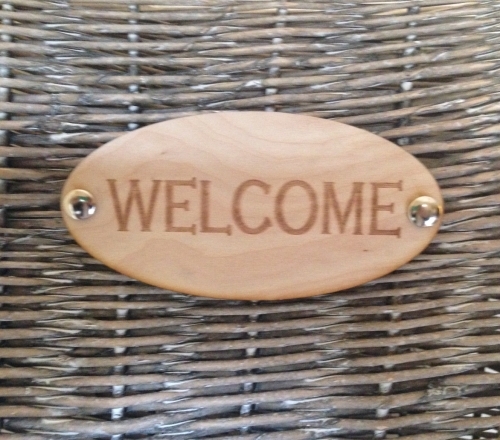 Measures 12"H X 12"W X 5"D. This item is not suitable for constant direct sunlight or direct exposure to rain or snow. This basket has a rustic washed finish.